East Azarbaijan or East Azerbaijan (Persian: آذربایجان شرقی, Āzarbāijān-e Sharqi; Azerbaijani: Şərqi Azərbaycan) is one of the 30 provinces of Iran. It is in the northwest of the country. It has borders with Armenia and the Republic of Azerbaijan, and the provinces of Ardabil, West Azarbaijan, and Zanjan. 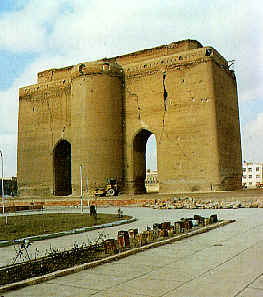 Its capital is Tabriz. East Azarbaijan Province Facts for Kids. Kiddle Encyclopedia.